Micronutrient deficiency gets national exposure! Do you or someone you know suffer from a lack of energy, unusual mood swings, a difficulty concentrating or remembering things, depression or even Alzheimer’s? If so, it may be due in part to a vitamin B12 deficiency. Last Thursday’s Dr. Oz show gave national exposure to the massive problem of micronutrient deficiency – specifically our vitamin B12 deficiency. As most of you know (and if you don’t you soon will) there is very little that we are as passionate about as micronutrients. 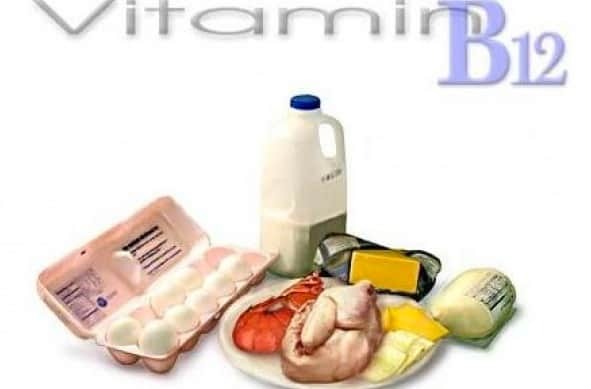 While Dr. Katz and Dr. Oz did a good job at bringing attention to America’s B12 deficiency there were a few things that they didn’t say, so we are going to use this blog to tell you what they missed that you need to know about vitamin B12 so that you or someone that you love can regain your natural energy, smooth out those mood swings, sharpen your mental concentration, shake of the depression and perhaps prevent or reverse the devastating disease of Alzheimer’s. They didn’t stress that the form of B12 in the supplement matters! One thing most people don’t realize is that it is very important to know what form of B12 you are taking. This is because, in order for cyanocobalamin (the unnatural form of vitamin B12, not found anywhere in nature, but never the less used in many of today’s popular multivitamins like Centrum and One-A-Day) to become active, it must be converted by the liver to either methylcobalamin oradenosylcobalamin otherwise it cannot be utilized by humans (and all other animals). This is why it is imperative to make sure your multivitamin uses methylcobalamin as its B12 source. They underestimated just how deficient we all are in vitamin B12! Additionally many people mistakenly believe that all they have to do is look at how much of a vitamin or mineral is in a food – eat the food- and “voila” they can count on that amount being available when body needs it, but that is simply not the way it works. As you will find out from reading Naked Calories there are many way in which EMDs (Everyday Micronutrient Depleters) can rob you of your essential micronutrients before and after you have eaten your food.
? Did you know that over 16 classifications of medications deplete B12 from your body? That’s right! Your antibiotics (Erythromycin, Zithromax, Cipro) , birth control pills (Ortho-novum, Ovulen) , H2Blockers (Tagamet, Zantac), Psychoactive Drugs (Xanax, Valium, Klonopin, Prozac) and you Proton Pump Inhibitors (Prevacid, Prilosec) are but a few of the culprits.
? Did you know that specific diets are often deficient in B12? B12 deficiency is not only prevalent in those following a vegan/vegetarian diet. Individuals who follow raw food diets or gluten free diets also need to be concerned, as they have been shown in studies to be frequently deficient in B12.
? Did you know that people who drink alcohol should also be concerned about B12 deficiency? Alcohol inhibits this breakdown of micronutrients by decreasing digestive enzyme secretion. Alcohol also seems to raise serum levels of vitamin B12, so that the deficiency is masked and the subject may look like they have higher than normal B12 levels. Finally, the show only mentioned one micronutrient competition! To make matters (and potentially the reported deficiency rates) worse, it can be very difficult to detect a B12 deficiency due to a type of micronutrient competition (learn more here) known as a clinical competition, between B9 (folic acid) and B12. So, even though an individual is deficient in B12, if B9 is present to pick up the slack it can mask B12 anemia and often a B12 deficiency will go unnoticed and undiagnosed. B12 has other micronutrient competitions as well. We think it is fantastic that Dr. Oz mentioned this one micronutrient competition. After all, this is one area of research that it seriously under discussed. However, they did not bring up the other 4micronutrient competitions for vitamin B12. Only a multivitamin formulated with Anti-Competition™ Technology can promise you that these have all been accounted for. Look, it is great that people get information about vitamin B12 deficiency. But that is only a small contributor to the health conditions and diseases facing us today. The bottom line is each essential micronutrient is important to our overall health and wellbeing. We need to bring awareness that becoming sufficient in each and every micronutrient is our ultimate goal. We don’t want people to think that a B12 shot is the answer. B12 can’t even function properly without B1, B3, B6, C, E and calcium… but that is for a whole other discussion on micronutrient synergies, which somehow was also omitted from the show. Calton Nutrition is founded on the belief that micronutrient deficiency is the most widespread and dangerous health condition of the 21st century and that it is at the root of many of the chronic health conditions and diseases plaguing the planet today. Our goal is to give you the information you need so that you can become an expert on controlling your own health and live your optimal life. But we need your help! If you feel the information in this blog is helpful please post it, tweet it and link it to anyone you feel could use this information. Until next time – read Naked Calories, explore theDiscovery Center at CaltonNutrition.com listen to the new podcasts on our media page and remember – micronutrient sufficiency is the first step to unlocking a world of optimal health!